In love with Formula 1: Valtteri Bottas replaces Rosberg at Mercedes! Valtteri Bottas replaces Rosberg at Mercedes! The reigning Formula 1 world champion Nico Rosberg shocked the whole F1 world by announcing his retirement from the sport only a few days after his coronation. Rosberg´s surprise retirement created the shock vacancy alongside Hamilton: who would get the hottest seat in F1? The answer was given earlier this week, as Mercedes announced that Finnish driver Valtteri Bottas was to fill the vacant seat at Mercedes. Due to Bottas leaving Williams for Mercedes, Felipe Massa has come out of his retirement to replace the Finn at Williams and pair up with Canadian novice Lance Stroll. Mercedes´ decision to sign Bottas came as no surprise to me. Since December there have been a lot of rumours about Bottas being the number one candidate to replace Rosberg. I have to say that the line-up of Hamilton and Bottas makes a lot of sense in many ways. First of all, statistics offer many reasons why Bottas is the perfect choice for Mercedes. Bottas can be expected to be an ultra-reliable points collector for the Silver Arrows. In his 40 race starts across the 2015 and 2016 seasons, the Finn only failed to score points on 11 occasions. The 27-year-old has never been beaten over a season on points by a teammate. That dominance translates to Saturdays, too, emphatically out-qualifying his colleague every year. Bottas has only retired on a Sunday due to a crash twice, so he is a highly consistent and reliable driver. Also age is on the Finn´s side; he is young enough to last another 10 years at the top but also possessing plenty of experience to know what it takes to succeed in the cruel F1 world. Although without a victory in his four years in F1, Bottas has proven his credentials with nine podiums at Williams. Bottas´ move to F1´s most sought after seat is everything the Finn has ever dreamed of, an absolute dream come true. Now the question is -how can he step up to challenge for race wins and for championships? Already at Williams he has proved to be an extremely talented driver, but now he has the most competitive car on the grid to fight for victories. Will he cope with the pressure it brings along? Bottas is known to be a down to Earth and straightforward guy, who doesn´t do politics in the paddock. But having Lewis Hamilton as a teammate is an extreme challenge for anybody, as the British triple world champion is known for huge talent, raw speed and powerful mind games. However, I can´t see any driver more fitting to partner Hamilton than Bottas. Rosberg vs. Hamilton has been the dominant theme of F1 for the last three years with a lot of sparks flying. Tranquil Bottas brings harmony and good spirit into the team. However, I´m sure the Finn is ready to defend himself when needed, like we have previously seen when fighting for positions on track for example with compatriot Kimi Räikkönen. Now everything is about getting integrated into the team, which I´m sure will happen quickly and smoothly. In addition to his talent and no-nonsense personality Bottas also has a weapon against Hamilton´s mind games -trainer Antti Vierula. The Finn has previously worked with the Briton but is now working for Bottas. Bottas only has a one-year contract with Mercedes, which means, that in terms of his F1 career failure is not an option! The contracts of former world champions Vettel and Alonso both expire at the end of the 2017 season, so Bottas has only this year to convince Mercedes of his talent. Hamilton is considered to be maybe the most challenging teammate to have in F1. Physically, technically or talent-wise I don´t see any reason why Bottas wouldn´t out-perform Hamilton this year. It all comes down to the mental strength and psychological aspect. If Bottas manages to keep his feet firmly on the ground and handle the enormous pressure he´ll be facing, he has every opportunity to beat Hamilton. Now it´s Bottas´ time to show whether he has what it takes to become a world champion! P.S. I can´t wait for the new season to begin! 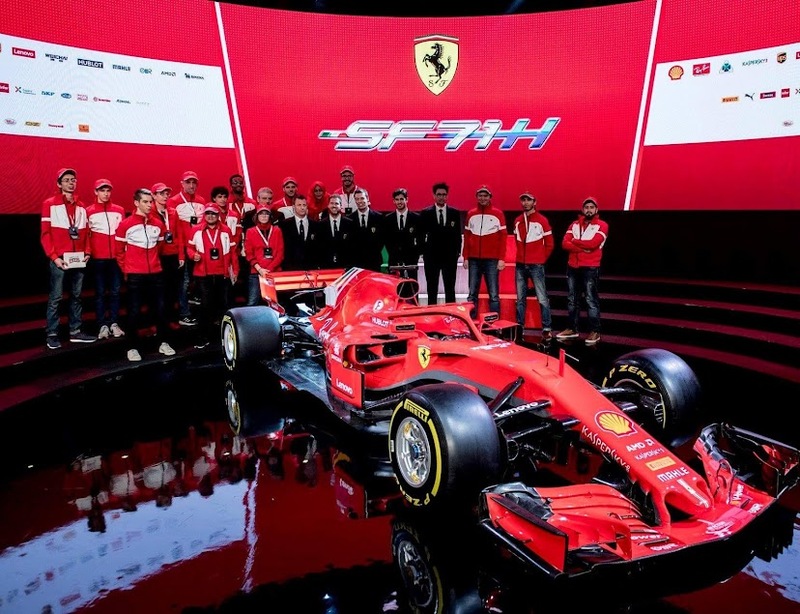 During the long off-season I´ve written a couple of articles on the Scuderia Ferrari Club Riga website. An article on the late Dr. Aki Hintsa can be read here: http://sfcriga.com/dr--aki-hintsa-gone-but-never-forgotten and my thoughts on the surprise retirement of Nico Rosberg can be read here: http://sfcriga.com/breaking-news-world-champion-rosberg-to-retire-from-f1 . It feels great to be back updating my blog!